Where are kittiwakes going in the winter - research published from Skomer Kittiwakes and many other colonies in NE Atlantic. 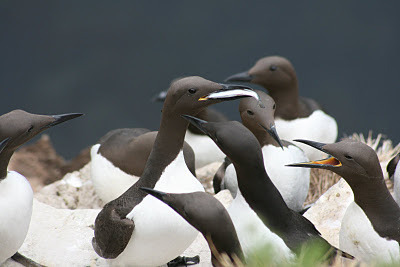 It is a brilliant article that reflects the international aspects of seabirds highlighting there need for protection at the breeding colony but also the need to influence policies that are not neccessarily on your doorstep (food availability in Western Atlantic). Aim An understanding of the non-breeding distribution and ecology of migratory species is necessary for successful conservation. Many seabirds spend the non-breeding season far from land, and information on their distribution during this time is very limited. The black-legged kittiwake, Rissa tridactyla, is a widespread and numerous seabird in the North Atlantic and Pacific, but breeding populations throughout the Atlantic range have declined recently. To help understand the reasons for the declines, we tracked adults from colonies throughout the Atlantic range over the non-breeding season using light-based geolocation. 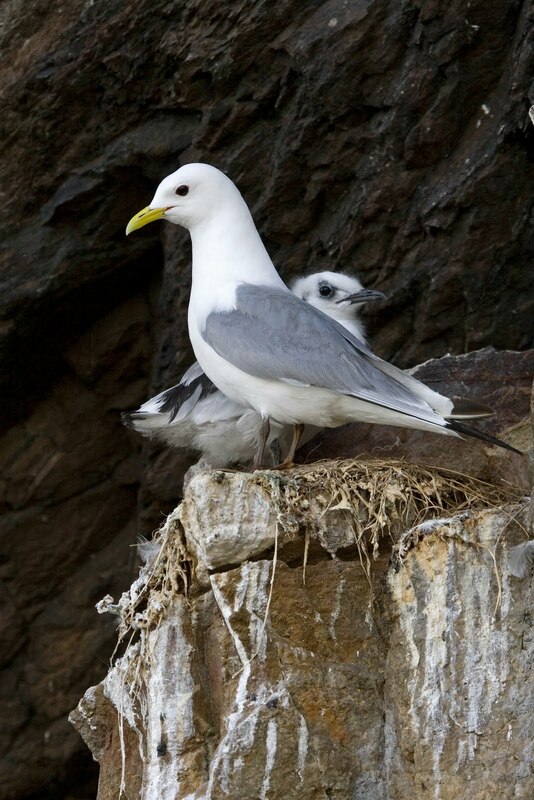 Methods Geolocation data loggers were deployed on breeding kittiwakes from 19 colonies in 2008 and 2009 and retrieved in 2009 and 2010. Data from 236 loggers were processed and plotted using GIS. Size and composition of wintering populations were estimated using information on breeding population size. Results Most tracked birds spent the winter in the West Atlantic, between Newfoundland and the Mid-Atlantic Ridge, including in offshore, deep-water areas. 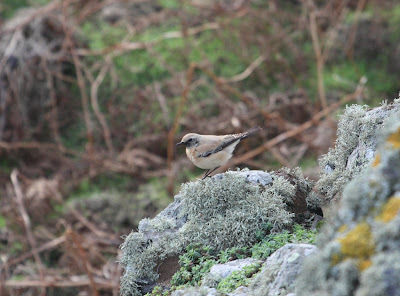 Some birds (mainly local breeders) wintered in the North Sea and west of the British Isles. There was a large overlap in winter distributions of birds from different colonies, and colonies closer to each other showed larger overlap. We estimated that 80% of the 4.5 million adult kittiwakes in the Atlantic wintered west of the Mid-Atlantic Ridge, with only birds from Ireland and western Britain staying mainly on the European side. Main conclusions The high degree of mixing in winter of kittiwakes breeding in various parts of the Atlantic range implies that the overall population could be sensitive to potentially deteriorating environmental conditions in the West Atlantic, e.g. owing to lack of food or pollution. Our approach to estimating the size and composition of wintering populations should contribute to improved management of birds faced with such challenges. Fuel up the Super Puffins. Geolocators are small devices that can track puffins over a long period (their winter migration). Understanding their movements at sea helps inform the conservation of the species and other marine life. There are only 40 days left to raise the funds. There are some great rewards too - depending on the amount you donate! Anybody see the bit at the end? How rude? I didn't realise you saw "it" until after I uploaded the video. Nice extract from the 2011 Seabird report. "One bird ringed as a chick in 1983 (X38634, BuT/LG) was resighted at sub site A of the Amos, making it the oldest ringed bird on the island at 28. 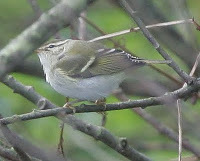 The oldest on record with the BTO is 31." One on Skomer this morning (spotted by Dave B) - with another two spotted on the East coast of Ireland. 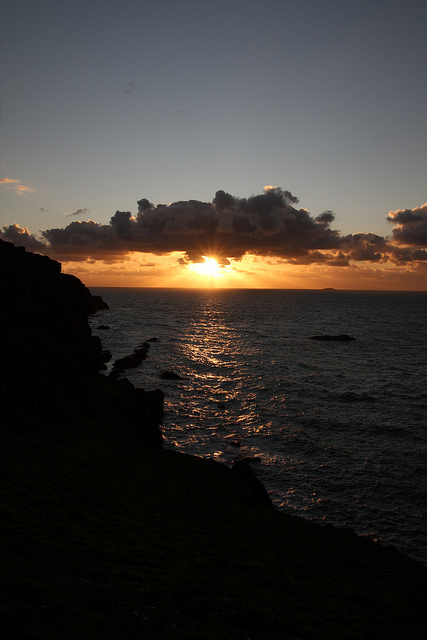 A first for Skomer. Couple of Black Redstarts around South Plateau and a mistle thrush. 5 Snipe. Been pretty quiet over here for the last few days, we seem to have missed out on the big thrush movements but we're having a good autumn for Mistle Thrushes - normally only see them once or twice been they've been quite regular in the last couple of weeks. Firecrest has been hanging out in North Haven for last few days. Number of pups born on the island total 135. Dave Boyle witnessed a seal giving birth during the day which is quite unusual as they are generally born overnight. He also commented that the pub "flew" out and landed approximately 4 feet away. Apparently it gave the mum a shock to. Normally the mums gently guide them out using their back flippers - not this time. All in all a bit quiet the last few days few finches and Skylarks going over first thing and Jerry saw a Ring Ouzel again at North Pond.